We all know that soda is bad for our waistline and our teeth, but few of us realize how many other drinks have a similar effect. From your kids’ favorite sports drink to that glass of wine that helps you unwind, acidic drinks can seriously damage your teeth. Acidic drinks are often the culprit for plaque and tooth decay. Over time, they work to break down the firm external surface of your teeth, the enamel. When your enamel starts to wear away, the delicate, off colored part of your teeth is exposed. Not only is this not visually appealing, it also can lead to other painful conditions. What Kind of Drinks Should You Watch Out For? Soda is the main culprit for the wearing of tooth enamel, and it increases the risk for cavities. It is highly acidic and can strip your teeth even more than sugar. That means that diet soda is also harming your teeth. Like soda, energy drinks are terribly for your pearly-whites. They are highly acidic and filled with sugars that break down the enamel on your teeth. The sports drink industry has convinced mainstream America that these drinks are healthy after a workout. A look at the label reveals that sports drinks are full of acids and sugars. 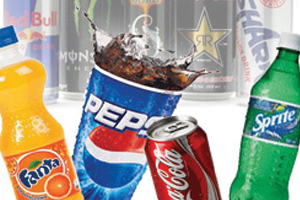 Like soda and energy drinks, the combination of sugar and acid can seriously harm your teeth. Be especially conscientious if your kids are drinking these – offer water after a workout first. Wines have a spectrum of acidity. White wines are more acidic than red and also more sweet. Red wine discolors your teeth, and they both cause dry mouth. Other drinks are also acidic, but how much so depends on the actual drink. In addition to its acidity, alcohol causes dehydration, which reduces the saliva flow to your mouth. If used in excess, this can cause tooth decay and gum disease. Similar to wine, coffee stains your teeth, makes them sticky, and dries out your mouth. This problem becomes even worse if you add sweeteners to your coffee. To top it all off, coffee is very acidic. Although they do not cause as much harm, it is important to note that high levels of acidity can be found in fruit juices. They can increase your risk of enamel breakdown and cavities. Making sure you are hydrated is important to your overall health, including your oral health. It is okay to drink soda or your other favorite drinks in moderation. When drinking these beverages, use a straw to help keep the acid and sugars away from your teeth. Use water to rinse your mouth after any acidic drink, and make sure to drink plenty of water in general. Though straws can be a smart way to avoid sugars hitting your teeth, avoid sipping drinks for a long period of time. Brush after meals or after having any of the acidic drinks. You can substitute water or fruit juices for soda at meals. This is not only good for your teeth but for your overall health as well!